Known to make anyone smile within 10 seconds, Melissa Johnson is a multi-passionate entrepreneur – Blog & Brand Coach, Lifestyle Expert and Founder & CEO of the lifestyle website, Best Friends For Frosting®. Melissa launched Best Friends For Frosting in 2010 with absolutely no formal training and turned it into a full-time career, bringing on her husband full-time along with a passionate team. She has shared tips and tricks with audiences nationwide, from appearances on ABC and QVC to being featured on Martha Stewart, Better Homes & Gardens, Redbook Magazine, and Good Housekeeping Magazine. 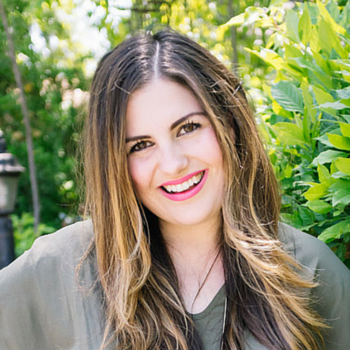 As someone who loves motivational speaking, Melissa is inspired to help others, whether it’s through offering strategic business or blogging consultations, styling an editorial photo shoot, or creating DIY projects and recipes.